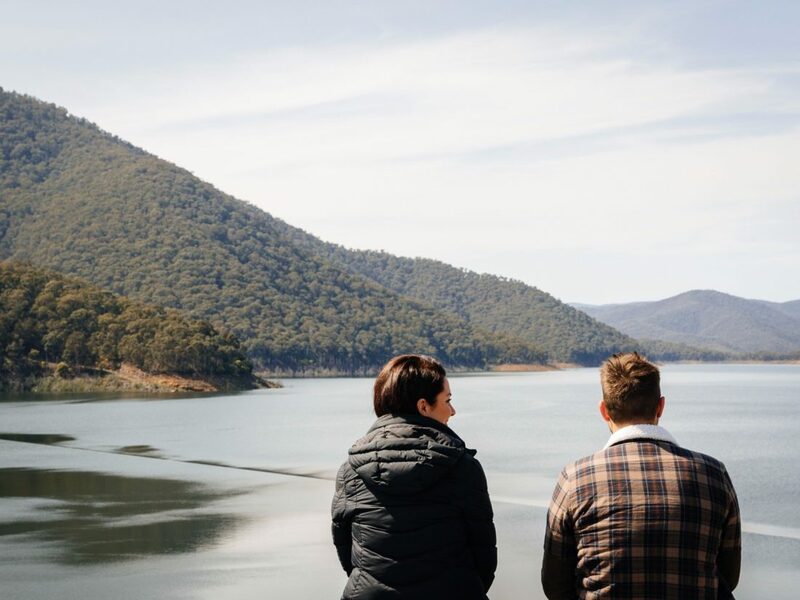 Dartmouth Dam is located in the beautiful Mitta Valley, just a short drive from the township of Dartmouth. Dartmouth Dam is operated by Goulburn-Murray Water on behalf of the Murray-Darling Basin Authority. The dam’s purpose includes irrigation, the generation of hydro-electric power, water supply and conservation. It is the largest capacity dam in Victoria and the highest structure of its kind in Australia. The dam can store almost 4,000,000 megalitres. The Dartmouth Dam stores water from the Victorian High Country’s snow fields for summer release into the Mitta Mitta (and downstream Lake Hume) and eventually into the greater Murray River. The Dartmouth Power Station is located near the dam wall and generates power to the national grid. The impounded reservoir is called Dartmouth Reservoir or Lake Dartmouth. The Dartmouth Reservoir is a popular recreational trout and macquarie perch fishery and is regularly restocked by the Victorian Department of Primary Industries. Lake Dartmouth offers a variety of water sports as well as recreation facilities. Camping is permitted in designated areas around the lake, some of which can only be reached by boat. House boating and water skiing is not permitted.